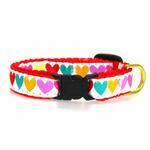 Our feline friends will have lots to purr about with Up Country’s stunning Pop Hearts Cat Collar. Multi colored hearts line collar. Pop Hearts Cat Collar by Up Country Customer Photos - Send us your photo! Here's to hearts! Lola loves her cheerful new collar. Thanks BaxterBoo! Posted On 11/18/16 by DJE from , NJ Yes, DJE recommends this product! 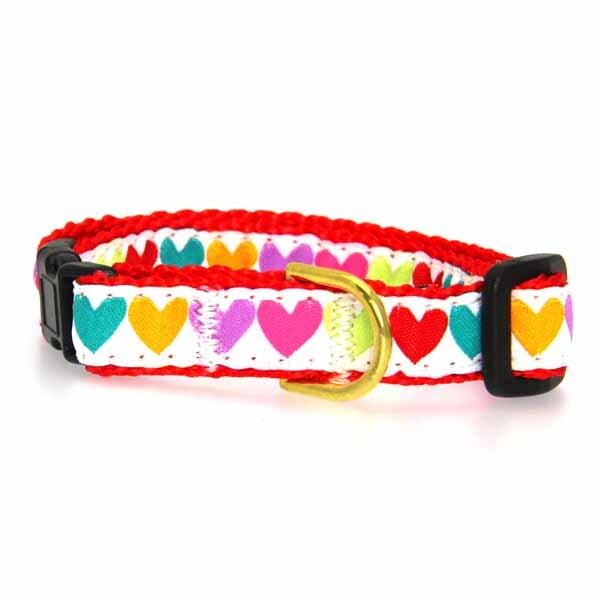 The Pop Hearts Cat Collar by Up Country is so Cute! Perfect collar! Love the brightly colored hearts...they really pop! Posted On 10/09/14 by Angie from , Yes, Angie recommends this product! 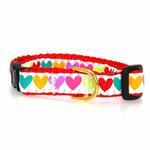 This is a super cute collar with a cheerful heart design that fits my sweet chihuahua mix perfectly! A great, safe collar for cats and small dogs alike. This coat is addorable, sizing was perfect for my dog.